(TibetanReview.net, Feb02’19) – China said Feb1 that it had found bureaucratic practices and impractical working styles in 13 provincial-level regions, including in ‘Tibet’, as well as central government departments in the implementation of the country’s poverty relief work. China has set the goal of eliminating poverty by 2020 to usher in an era of a moderately well-off society envisaged by President Xi Jinping’s slogan of socialism with Chinese characteristics for a new era. China’s official Xinhua news agency reported Jan 31 that this was the second round of disciplinary inspections by the 19th CPC Central Committee and the first time the central leading group on disciplinary inspection had centered its inspections on a specific subject. The report said some inspected regions and entities were found to have inadequate awareness on poverty alleviation and to have deviations in implementing policies made by the central authorities. It said the practice of formalities for formalities’ sake and bureaucratism still existed in some regions. The Central Commission for Discipline Inspection (CCDI) started its poverty relief sector inspection in Oct 2018 and published its finding on its website on Jan 30, reported the official chinadaily.com.cn Feb 1. The inspection was stated to have had teams deployed to Party organizations in 13 provincial-level regions, mostly in the central and western parts of the PRC, such as Anhui, Chongqing, Tibet and Xinjiang, as well as 11 central government departments related to poverty relief work and two financial institutions, including the Ministry of Civil Affairs and the Agricultural Development Bank of China, between October and November last year. The report said that bureaucratic and impractical working styles appeared in Anhui, Qinghai, Hubei, Yunnan, Jiangxi provinces, and in the Tibet and Xinjiang Uygur autonomous regions. The Agricultural Bank of China was stated to have been identified with the same problem. It was noted that Qinghai, made up of much of the traditional Tibetan province of Amdo and part of Kham, had launched a large number of unnecessary inspections which put huge pressure on poverty relief officials at the grassroots level, as they were repeatedly required to provide supporting data. It cited the CCDI report as saying that Tibet Autonomous Region had failed to punish those who indulged in bureaucratic practices. The report said other common problems found in the poverty relief sector include the failure to faithfully implement the central government’s policies and the failure to carry out self-examinations. It cited the example, of Qinghai which was reported to have been found to have failed to protect the ecology while relieving poverty. The province has seen several incidents of Tibetans being kicked of their ancestral land in corrupt government deals for mining and property development projects. Those who protested have been beaten and jailed as China does not take kindly to civil society exposures of official corruption. 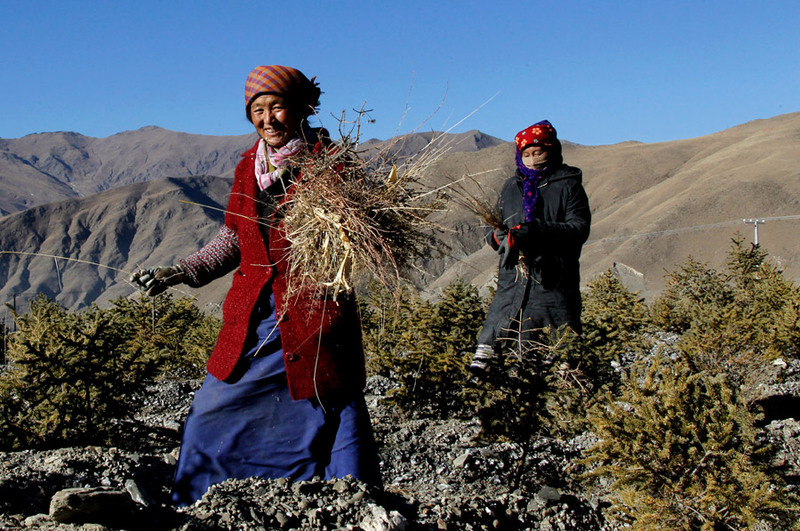 Both the TAR and Qinghai have set the goal of eliminating poverty by the end of this year.